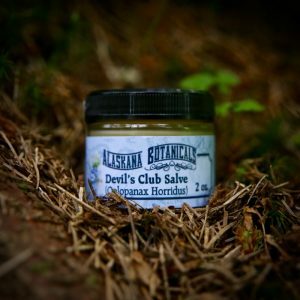 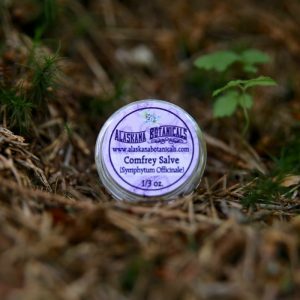 Shop / Salves / 2 oz - full size / Comfrey Salve – 2 OZ. 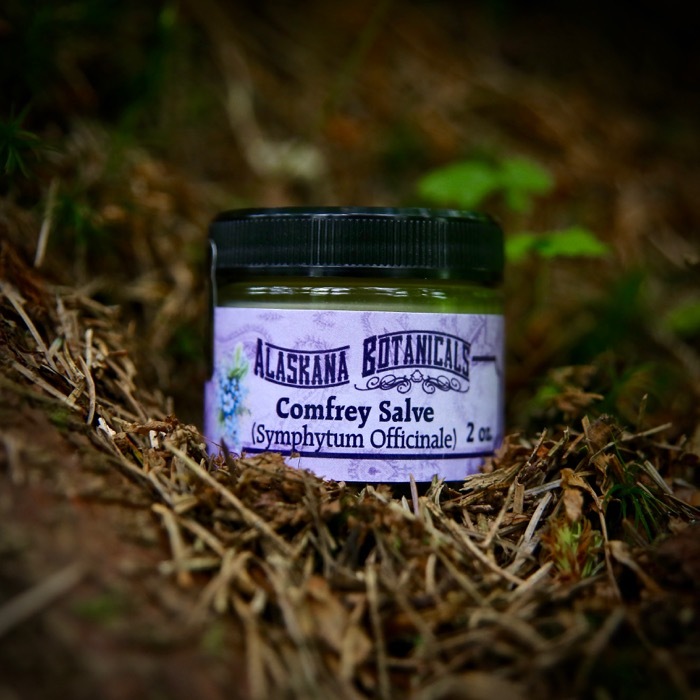 Comfrey Salve aides in the healing of closed-tissue skin irritations such as burns, abrasions, scars, slow-healing wounds and insect bites. 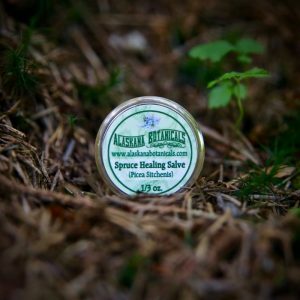 It can also be applied to bruises, fractures and sprains. 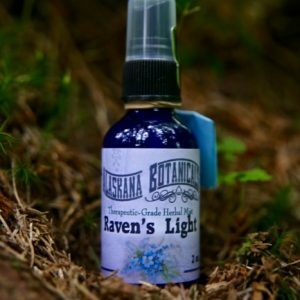 Contents:W Alaskan comfrey, olive oil, apricot oil, O Alaskan chocolate mint, O beeswax and essence of lavender.